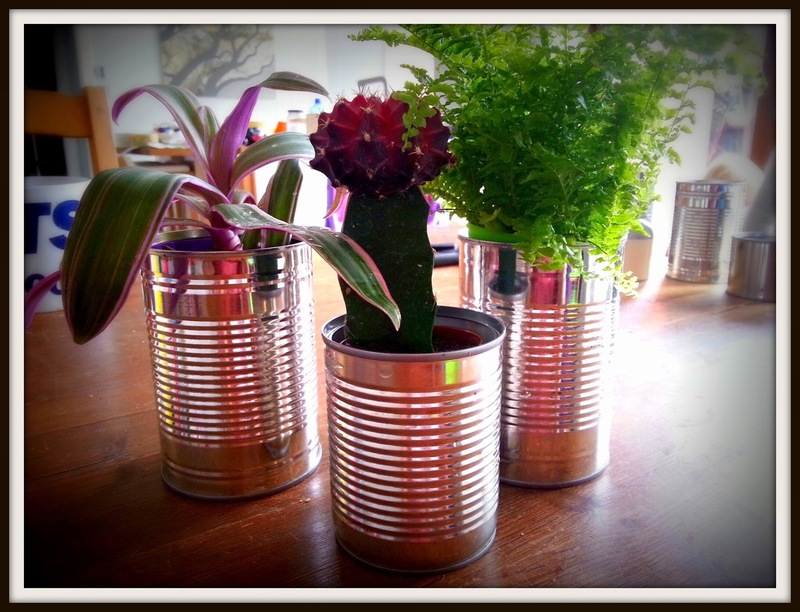 I really like my Daddy's Day tin can planters! 1. 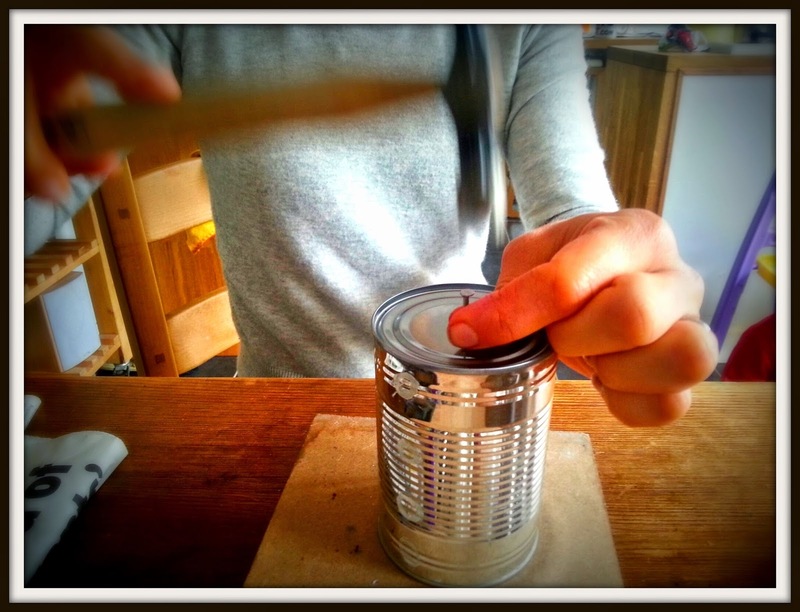 Find a tin can which you like the size and shape of. I chose some different sizes to make a nice collection but one can look just as good. Ask a grown up to make sure its all nice and clean and that there are no sharp edges. 2. You will need drainage holes in your can so ask a grown up to turn it upside down and using the hammer and nail add a few holes to the bottom. Be careful not to hit your fingers Auntie Alison! 3. Now you can personalise your tin can with whatever you want. 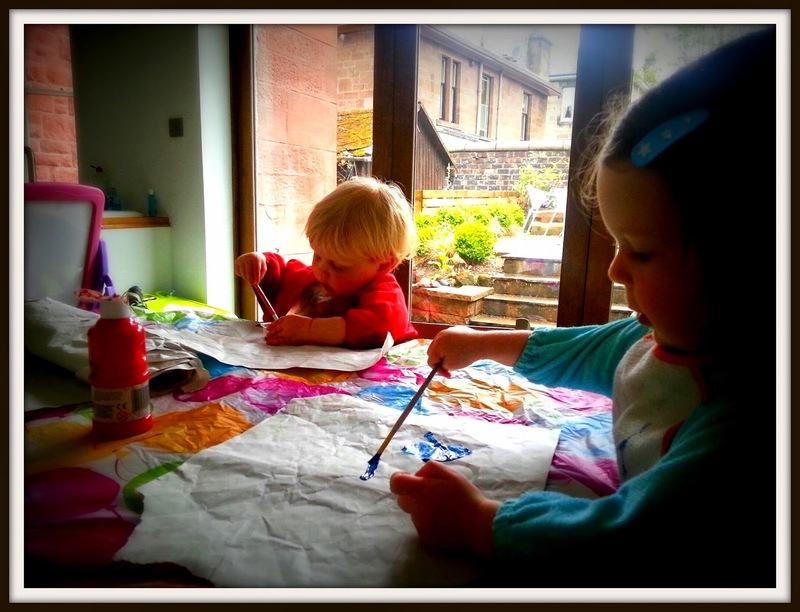 Some ideas include one of your own drawings, paintings or hand prints, a relevant piece from a magazine or newspaper or some nice wrapping paper. 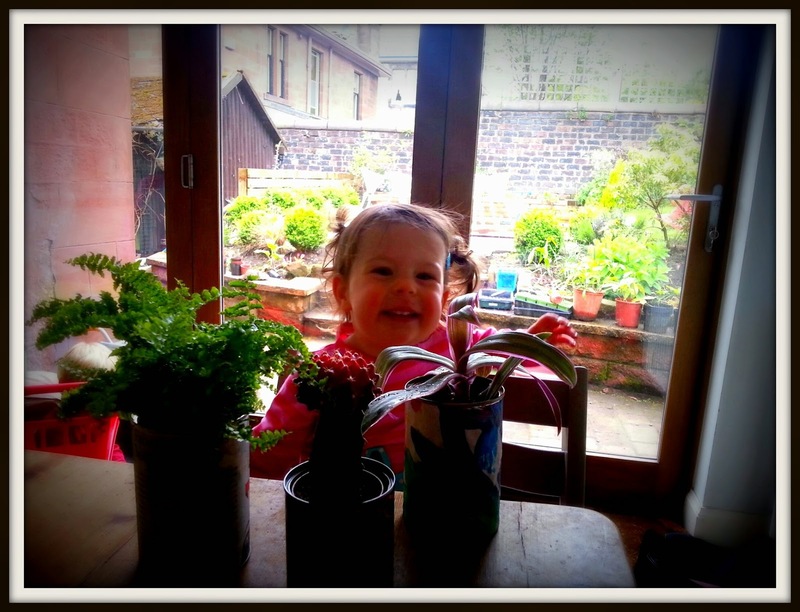 Euan and I did pretty paintings for some of our planters. We also used newspapers and comic strip wrapping paper. 4. Carefully measure your paper so that it wraps perfectly around your tin can with a little bit extra for gluing down. concentrate on getting this tricky stage just right! 5. Glue the edges of your paper so they stick well to the tin can. 6. 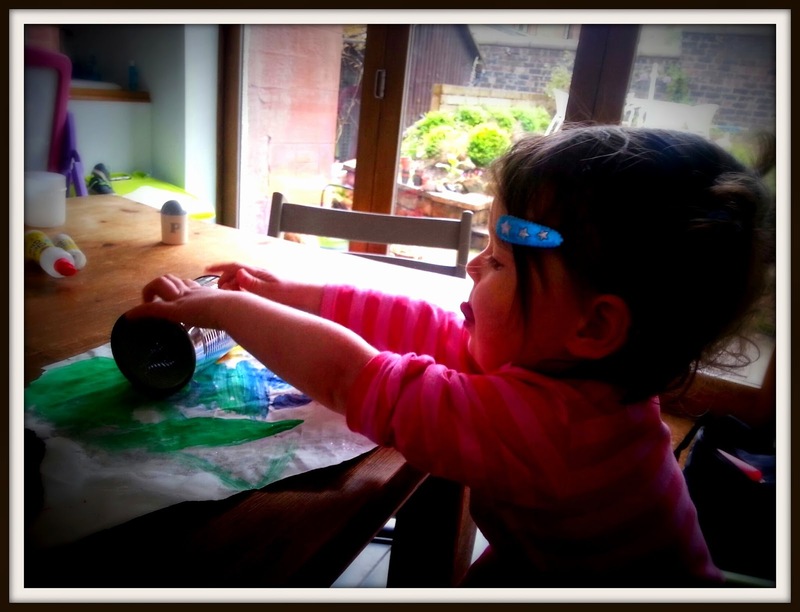 Take your tin can outside and ask a grown up to spray it all over with spray varnish. This will waterproof the paper so the planter can sit outside and not be ruined. Remember to use gloves when spraying and always spray outside or in a very well ventilated area. 7. 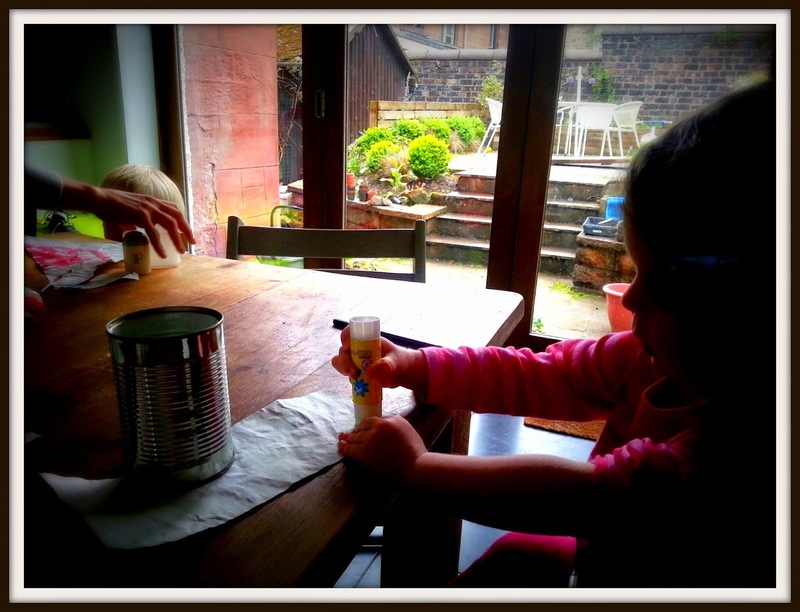 Once the varnish has dried you can fill your can with compost and plant your seeds or plants. We always have some lovely plants and seeds that are perfect for adding to a mini planter kicking around the garden or shed and you can easily divide some plants such as sempervivums to create new free plants! Herbs are a lovely addition or dwarf plants and cacti can look great too. If you are struggling for time you can skip steps 3-6 and keep your tin cans with the plain metal finish which looks great. If you find teeny plants in pots (some garden centres sell them) you can skip the drainage holes and compost part too and just pop the pots straight into the tin cans. Remember they will rust if they go outside so they would be better kept on the windowsill with herbs or indoor plants. Or you could paint them bright colours or varnish them if you want to place them outside. The original metal cans look great too. 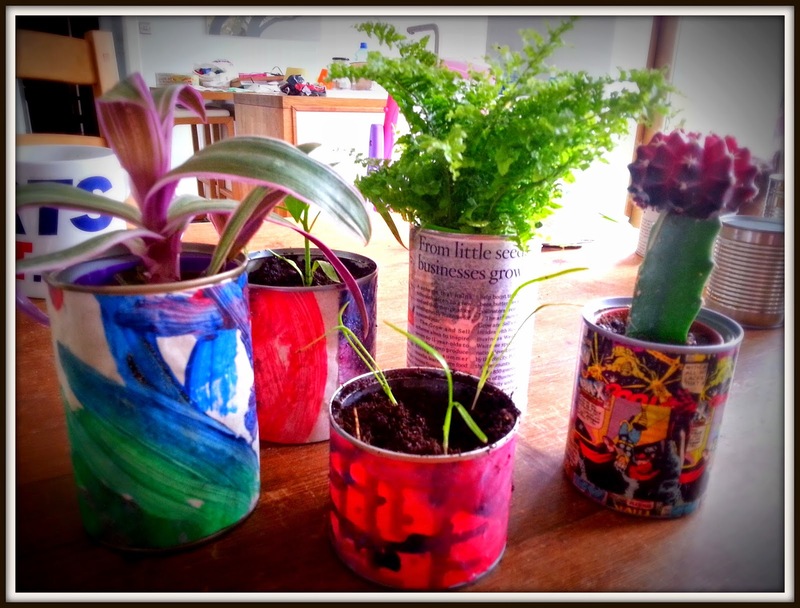 So, there you go, a Daddy's Day tin can planter, a lovely memento for years to come. A big thank you to Apartment Therapy for the inspiration for this blog.